Recently one of our customers came to our shop with a damaged plastic base. 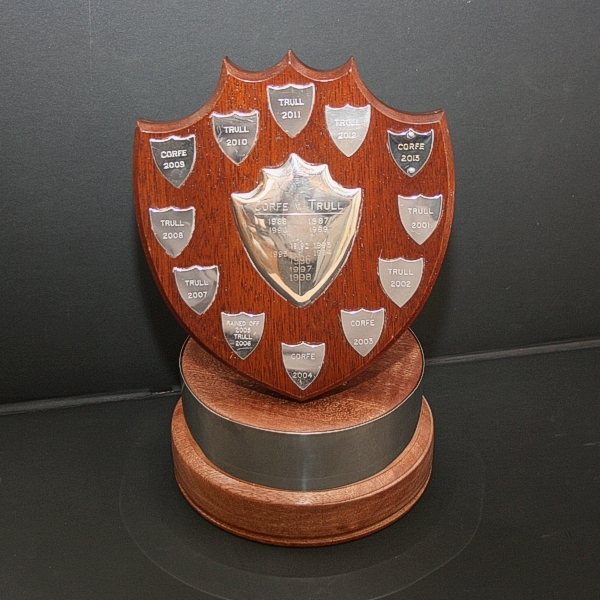 This had been drilled every year to attach a new record shield for new winners, as seen on the new wooden trophy base we created. 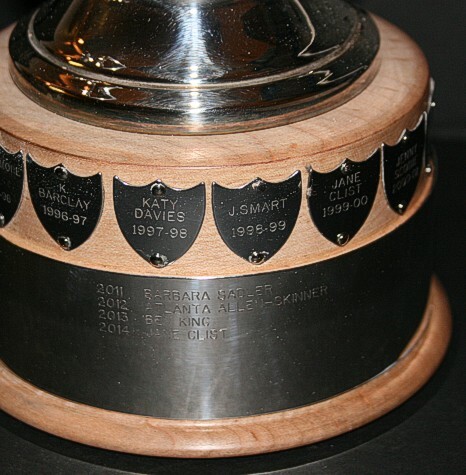 At Alpha Gifts & Awards we are constantly pushing the boundaries of engraving with industry leading techniques. 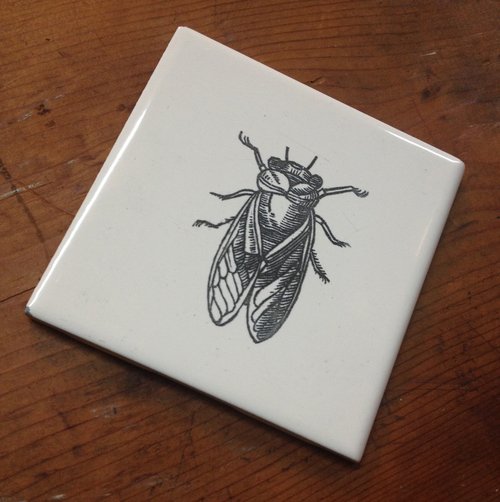 This allows us to offer a range of unique engraving services such as leather engraving and our latest service, ceramic tile engraving. 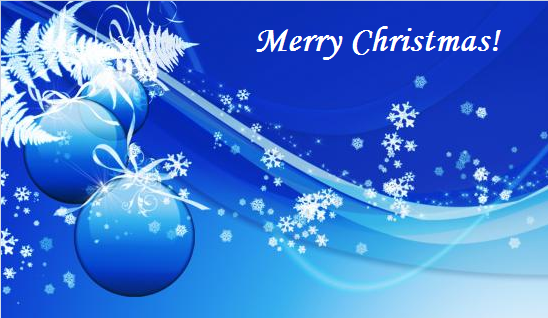 Merry Christmas from the Alpha Team! 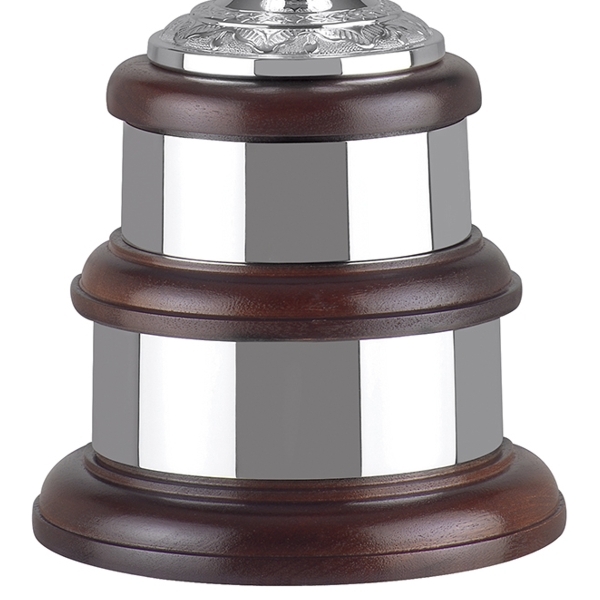 It’s the time of year where there are lots of awards and event ceremonies going on, so if you’re looking for a nice trophy that won’t break the bank to present for whatever reason, Alpha Gifts & Awards is the online trophy shop for you! 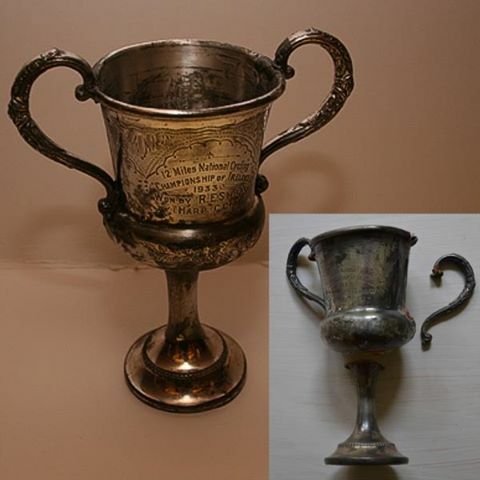 If you have a broken or damaged trophy you naturally want it repairing as quickly as possible. 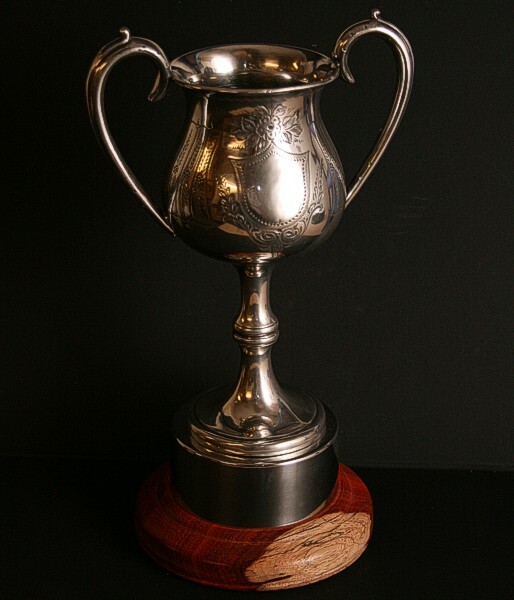 But finding the right trophy repair company can be tricky – finding the right balance between quality, experience and cost is difficult in a relatively niche market. 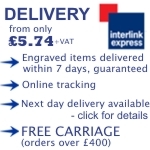 No room left for engraving? 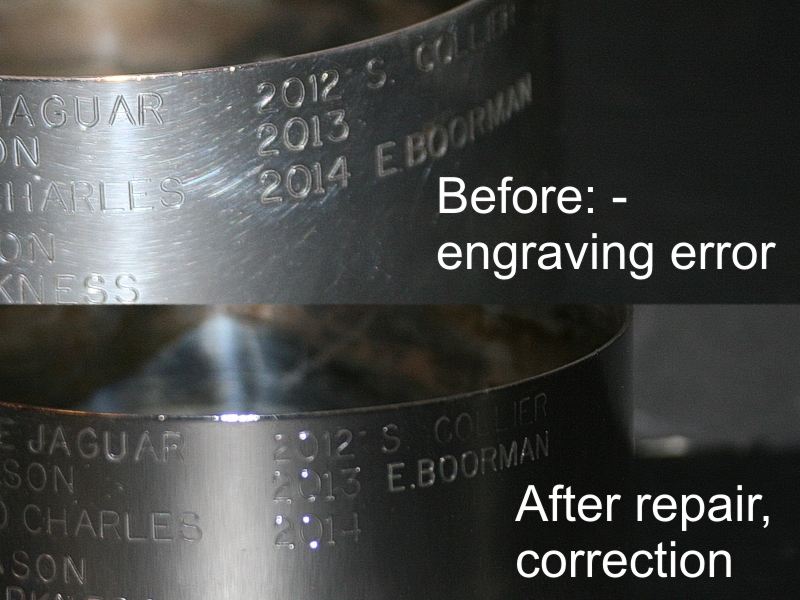 After years of yearly winner’s engraving, sometimes you simply run out of room to engrave the new winner onto an award. Alpha are the only company known to us that can both wood turn and build a new detachable trophy band, which fits over the base. 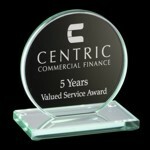 Trophies and Awards for All Occasions! Has your loved one achieved greatness and deserves a reward? Have you achieved greatness in the past and the only memory of this greatness is your trophy which is in desperate need of restoration?